“We cut out and put two big crowns on a wall. We then gave cut out gem shaped cards to the girls and asked them to write out an act of Khadija-ness on them, then stick it on the crown. 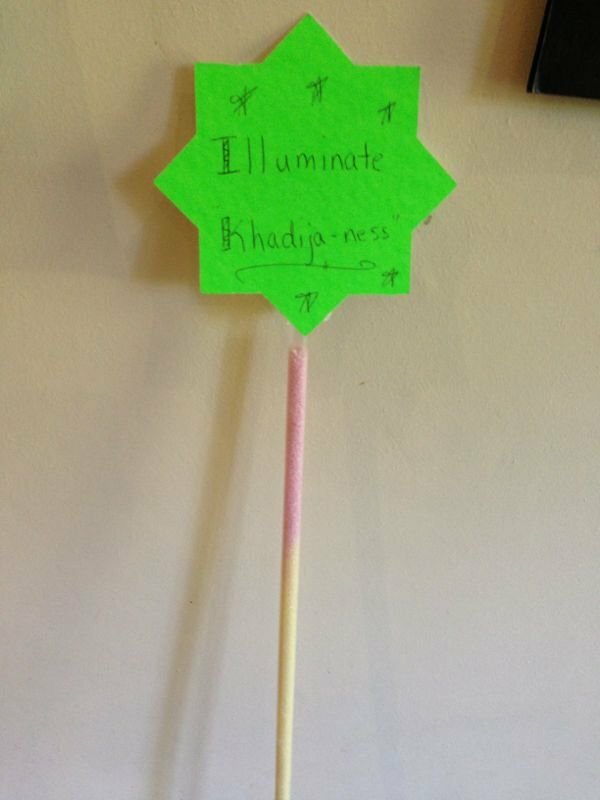 Every princess needs a crown AND a wand (and Lady Khadija is Ameera-tul-Quraish), so as favours we gave them a rainbow sherbet stick with a star on top saying “Illuminating Khadija-ness”.